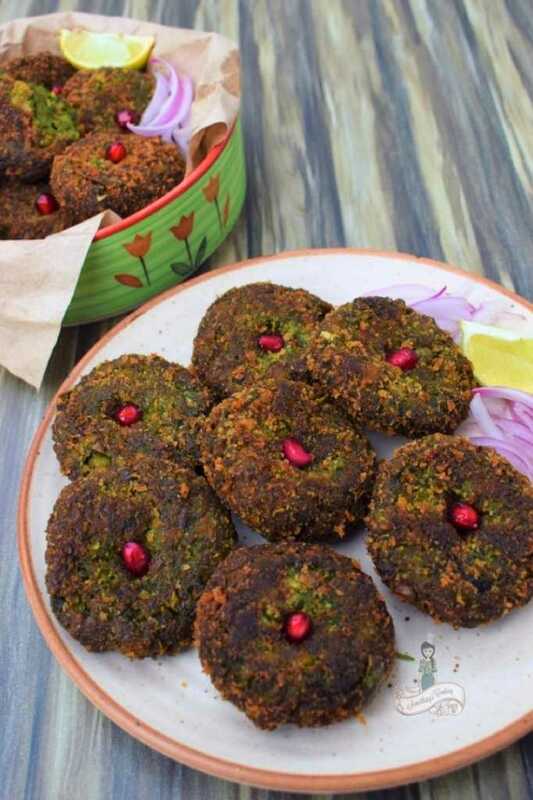 This vegetarian kebab made with potatoes and greens is loved by vegetarians across the country! 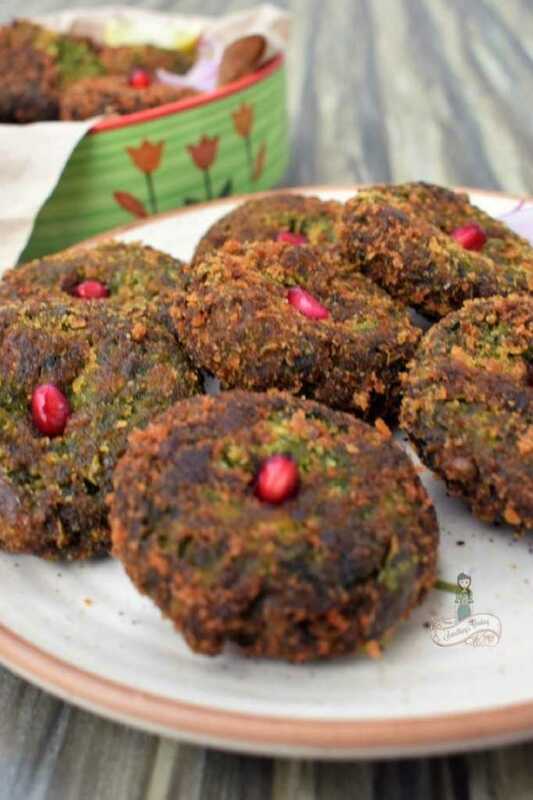 Hara Bhara Kebab is nutritious, vegan and simply delicious. It can be served as a starter or a tea-time snack. Week Two of the A to Z Challenge has begun and I am going to confess something today. For the first time in five years, I feel drained and tired. I know I probably shouldn’t be ranting here but yeah, with a little furball at home I am exhausted almost all the time. While few of the recipes are done and photographed, most of them are not. And all the pics need editing too. But most importantly, I feel guilty for not visiting my favorite bloggers who have taken their time out to visit me every day without fail on both my blogs and leave a comment. That has boosted up my morale and that’s how this recipe is being typed at the eleventh hour. ..and I persevere. The soldier husband is always away on duty and that’s making me more irritable and grumpy. But isn’t this what I’ve signed up for when I decided to get married to an Officer in the Armed Forces? Therefore, I put on a brave face, smile often even when you do not want to. I do not want him to worry about me and get worked up. I try to keep my head over water by blogging and I hope to keep it together. 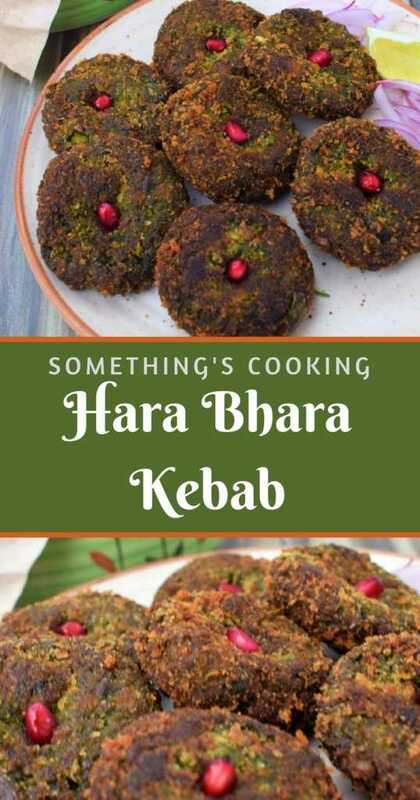 Hara Bhara Kebabs, Hara means green and Bhara means loaded with- are cutlets or vegetable patties made with potatoes and greens- mainly spinach, green peas, mint leaves and coriander leaves. This is one of the popular starters in the Army get-togethers and honestly, it wasn’t one of my favorites. But when the husband suggested that I make this cutlet at home, I decided to give it a go. That said, I also add green bell peppers or capsicum and that’s the secret ingredient. It truly makes the patties delicious and I absolutely loved how it turned out. I sent over a few to an Officer who was visiting and he was blown over. You must give this recipe a try. Worth it! Heat oil in a pan and cumin seeds. Once the seeds splutter, add ginger and capsicum. Mix well and add green peas, spinach, mint leaves and coriander leaves. Mix well. Add salt and turmeric powder. Mix and let it cook until you've no moisture left. It may take about 7-8 mins. Remove from heat and let it cool. Grind to a coarse mixture. Add 2 tsp breadcrumbs, corn flour and grated boiled potato. Mix well. Make equal sized balls and flatten it to make patties or tikkis. Coat it with breadcrumbs and deep fry until brown. Capsicum gives a beautiful flavour to the kebabs. Adding little turmeric to the greens will enhance its color. Garnish with a pomegranate seeds at the center to pop out the color. Love the recipe? You may want to pin it for later! Yum yum.. want to try this.. I make hara bhara kabab at home but never used capsicum in it. Next time will try with capsicum and spinach. There goes my diet for the week. I’ve always loved this kebab and now I am going to add this to my list to make. Loved this with all my heart. On a holiday at the moment, would get back and heres what I need to try out first!! This is something that I love. But I have always had it out at parties or restaurants and have never made it at home. Hope to try it sometime at a get-together at home! I am a vegetarian, and always looking for veg options for cooking and eating. This is such a delightful post, Shalini. And appreciate your efforts, with your soldier husband away, you are still so inspired to cook. If it had been me, it would have been khichdi! I am that lazy. I’m so glad you’re doing more wonderful recipes in the A to Z this year. This looks delicious – maybe I’ll make it… tomorrow, when I have potatoes and spinach! Loved the recipe and I agree, this is the quintessential starter for all parties, events at home. Most loved too. Great share. Cheers! 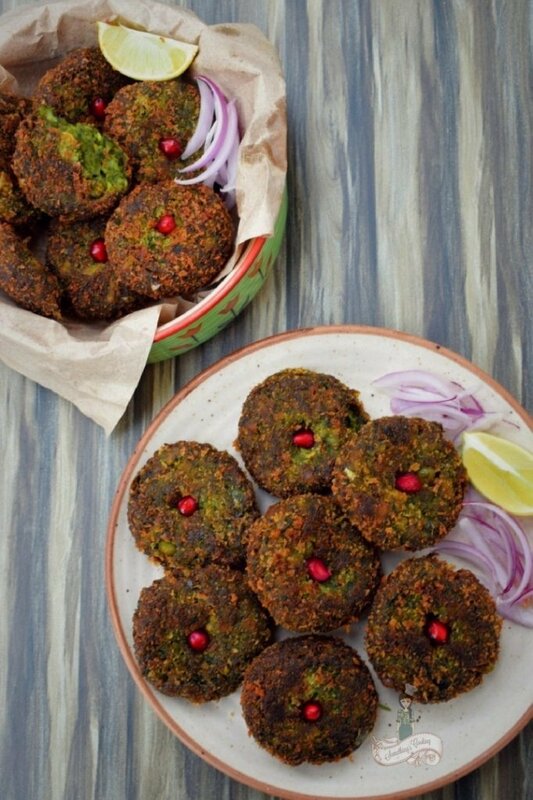 Yummy recipe, as I like hara bhara kebab very much! WIll try adding the capsicum to it. Reads yummy. I am mostly vegetarian. Like this. Once had it during a lunch party starter, organised by our neighbour. This one looks more appetizing….